'Where did you get that from?' asked Isuro en­viously. 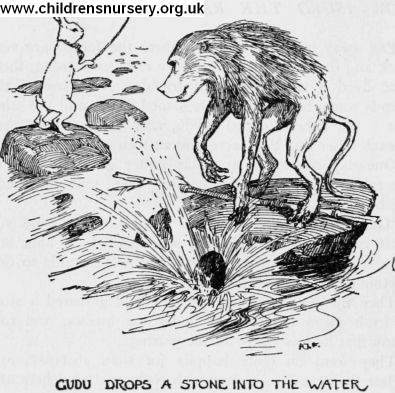 'Oh, I found after all that I could get across the rocks quite easily, so it seemed a pity not to keep my bag,' an­swered Gudu. 'Well, as you tricked me into throwing away mine, you ought to let me share with you,' said Isuro. But Gudu pretended not to hear him, and strode along the path.